Home SPFPA News Welcome Rio Grande Valley! 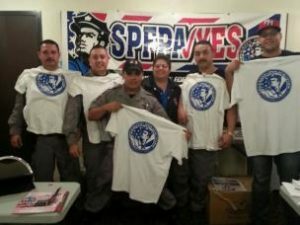 G4S Rio Grande Valley (RGV) Transportation Officers voted “YES” to join the SPFPA. These 108 officers were tired of receiving no service from their former small dying union out of Denver. Maria Gamon, SPFPA COP Director, assisted and supported this group in their organzing effort, and now welcomes them to the SPFPA family! We are proud to have you and look forward to working together with YOU!